Hotel Snowland P. Ltd. is just a stones throw from Lake Fewa, one of the most popular touristy areas and the whole Annapurna ranges can be seen from the hotel. The hotel has got 42 rooms with satellite TV, telephone and air conditioning heating/cooling. They are extremely well furnished and tastefully decorated and are en suite with a bath tub (hot and cold water). Along with that every room has a mini bar as well as its own balcony with views of the garden, lake and Himalayas. We have parking spaces available for those driving. Our restaurant serves excellent Indian, continental and Italian food. Our well stocked Bamboo Bar has excellent varieties of hard and soft drinks. Hotel Snowland P.Ltd situated at the heart of lakeside is a just in a stone throw distance from the lake(Lake Fewa),has 42 well appointed rooms with all modern facilities,which is divided into 3 different types i, e, Standard, Deluxe and Super Deluxe rooms. Deluxe- All rooms with attached bathrooom with bath tub ,24 hours running hot and cold water, Airconditioning(heating and cooling),satellite colour television,telephone,private balcony with the view and extremely well furnished. Super Deluxe- All rooms with attached bathroomwith tub-bath,24 hours running hot and cold water,Airconditioning(heating and cooling),minibar,satellite colour television,telephone,tastefully decorated and furnished,private balcony with the view of the lake and the mountains. An experienced management team at Hotel Snowland serves our guests and make them feel at home. 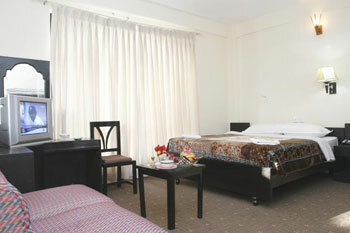 We offer 42 comfortable, spacious, fully furnished rooms with modern touches. Well furnished comfortable and wall to wall carpated bedrooms. A private bathroom with 24 hour hot showers. Luggage storage and safe deposit box for valuables. Hotel Snowland offers three types of rooms i.e. Standard, Deluxe and Super Deluxe to accomodate need of our varying guests. Superior Bath rooms with Bath Tub.